Defenses ruled in the first half of the 103rd Gilman-McDonogh football game, Saturday afternoon in Roland Park, as heavily favored and 13th-ranked McDonogh had its hands full with the struggling Greyhounds. Gilman (1-9) was also a huge underdog last year when it stunned the Eagles, 17-0, in Owings Mills, but McDonogh did not allow history to repeat itself. The Eagles (3-6) took control early in the second half, bursting on top with 17 third quarter points and won going away, 33-8, to close each team’s respective 2018 season. The Gilman defense found ways to get defensive stops and turnovers in the first half, but wilted in the third quarter, as McDonogh produced several big plays to setup scores. Eagles quarterback Preston Howard capped the first drive of the third quarter with a 1-yard touchdown run to break the ice and give the Eagles a 7-0 lead. 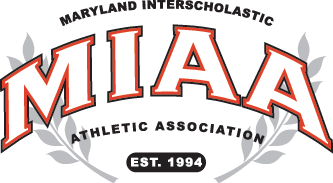 McDonogh drove deep into Greyhound territory again on its second possession, setting for a 37-yard field goal by Harrison Beatie to increase its lead to 10-0. Later in the quarter, Giovanni Procaccini broke things open when he took a jet sweep around left end and raced 76 yards for the score and a 17-0 McDonogh advantage. In the fourth quarter, Jabriel Johnson made a couple of big runs to set up his own 1-yard TD plunge and the Eagles went on top, 24-0. Gilman put together its best drive of the day, on the next possession, as quarterback Josh Ettlinger got hot in the passing game, before Jermaine Conyers put the Greyhounds on the board with 1-yard touchdown run. Conyers followed with the 2-point conversion run, cutting the McDonogh lead to 24-8 and keeping the Greyhounds within two scores. Gilman, however, failed on an onside kick attempt and, seconds later, Johnson slipped a crease in the line and raced untouched for a 47-yard touchdown with 3:29 to play. McDonogh then capped the scoring when freshman Dani Dennis-Sutton sacked Ettlinger in the end zone for a safety. Gilman still enjoys a dominate 61-37-5 lead in the all-time series, but at least for this year, McDonogh and its alumni will have bragging rights. Pictured above: McDonogh alumni and fans make the tradition “March on Gilman” prior to the 103rd meeting between the two football rivals.